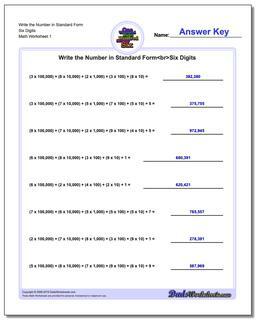 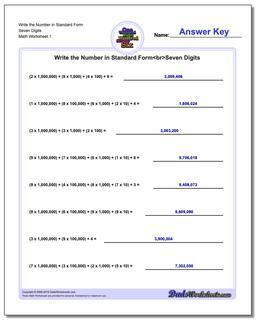 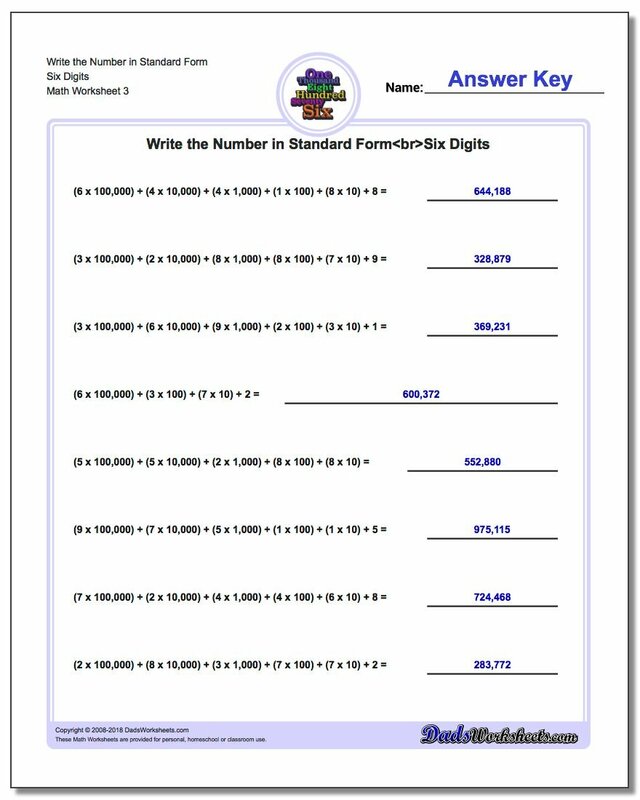 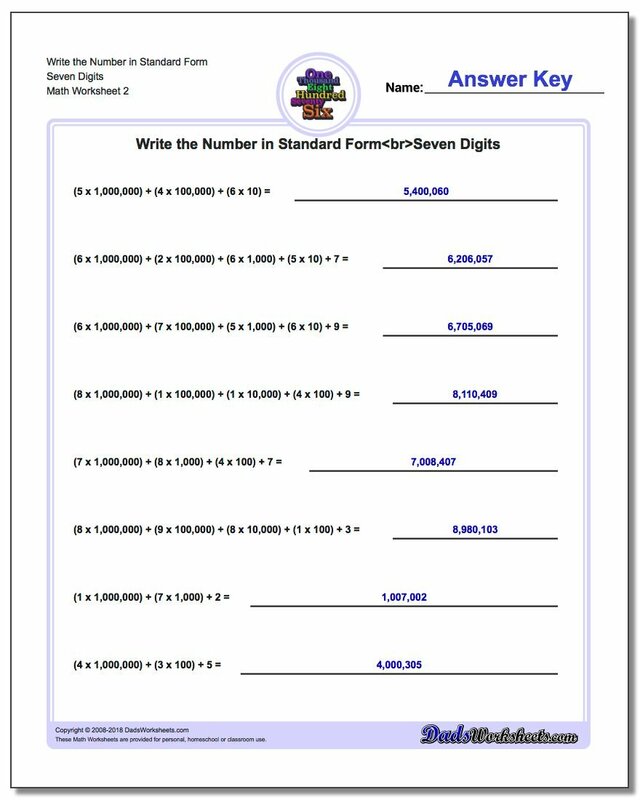 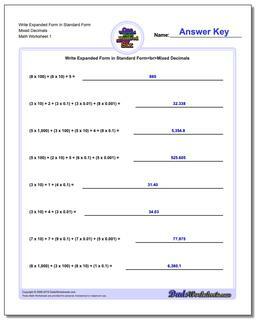 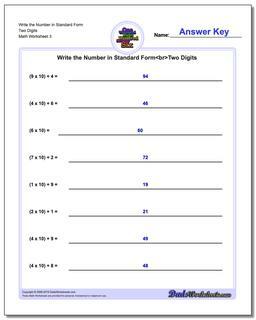 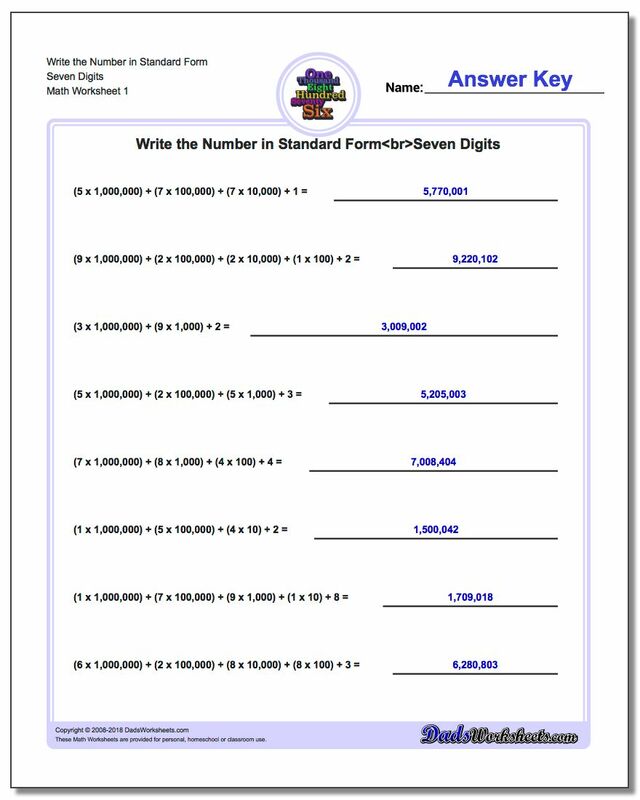 Practice worksheets for converting numbers from expanded place value notation into standard numeric notation. 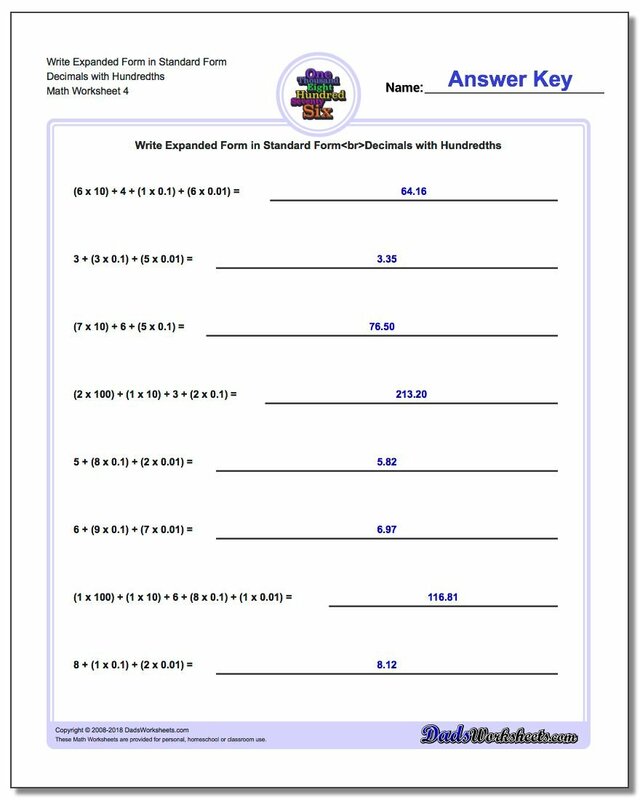 The worksheets on this page require the opposite skill of those in the previous section. 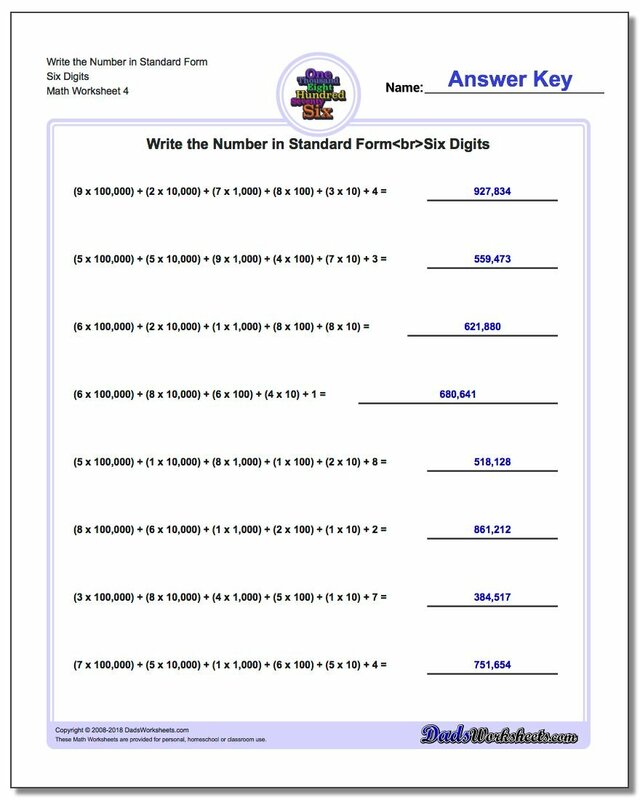 Here a student is given a value written in expanded form and they are asked to write the standard numeric form of the number as the answer. 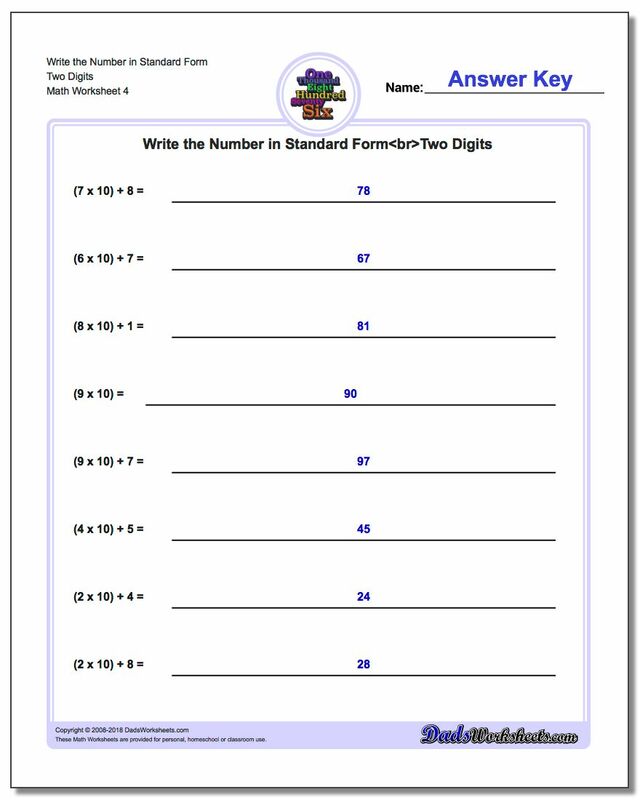 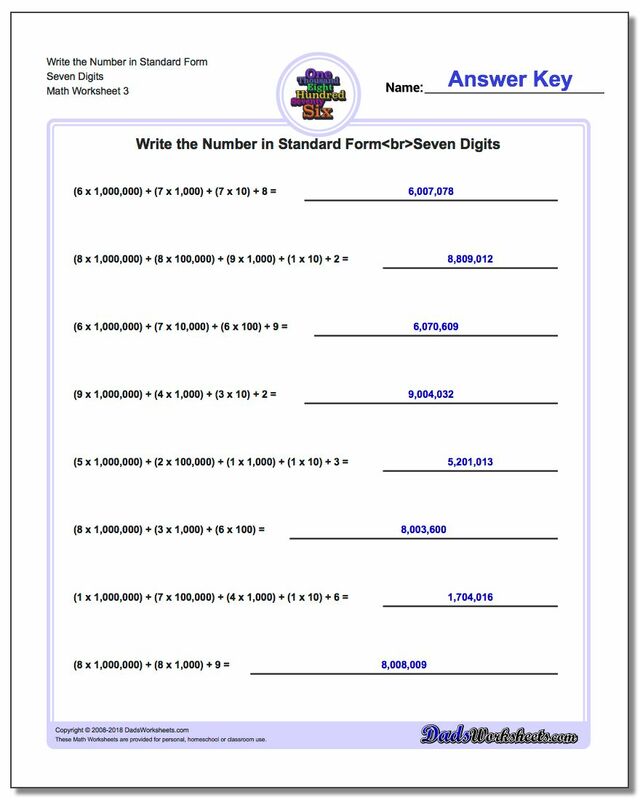 These worksheets will require the student to convert two digit, three digit, four digit or six digit numbers back to their standard representation. 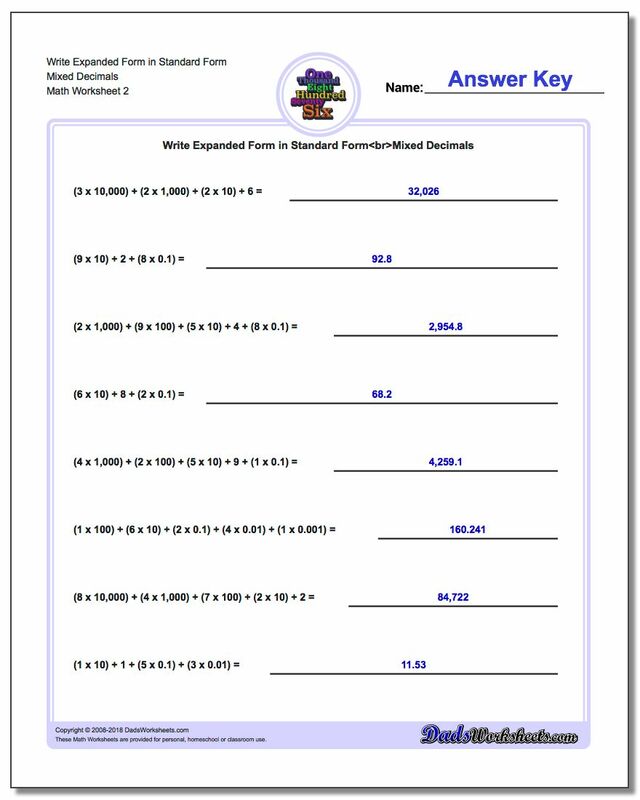 Later versions of the worksheets will mix values of different lengths. 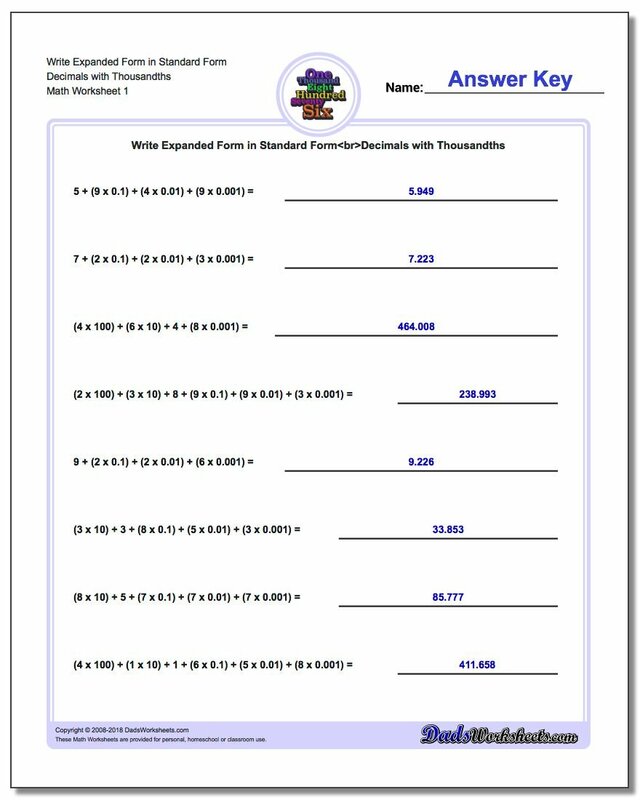 Converting expanded form values with decimal amounts back to numeric representations is also a useful skill, and there are sets of worksheets here that deal with various decimal precisions focusing on exactly this. 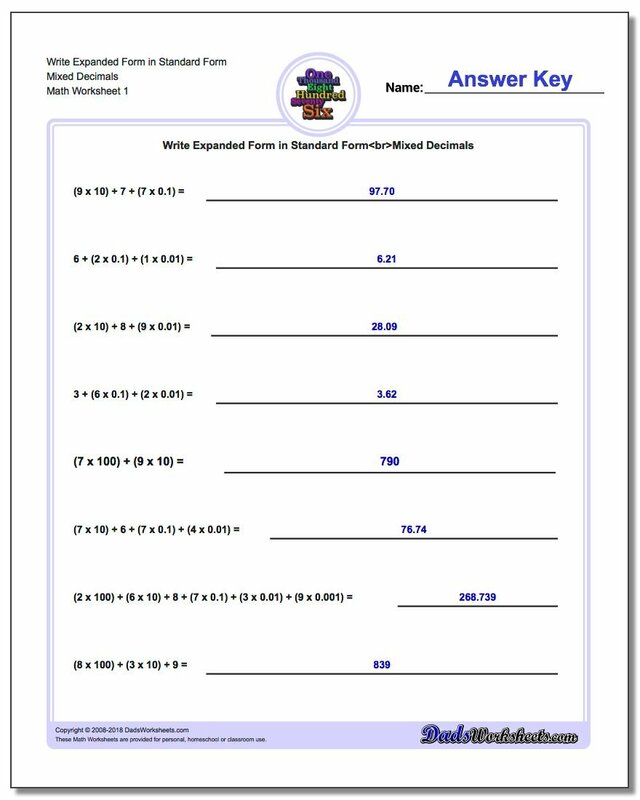 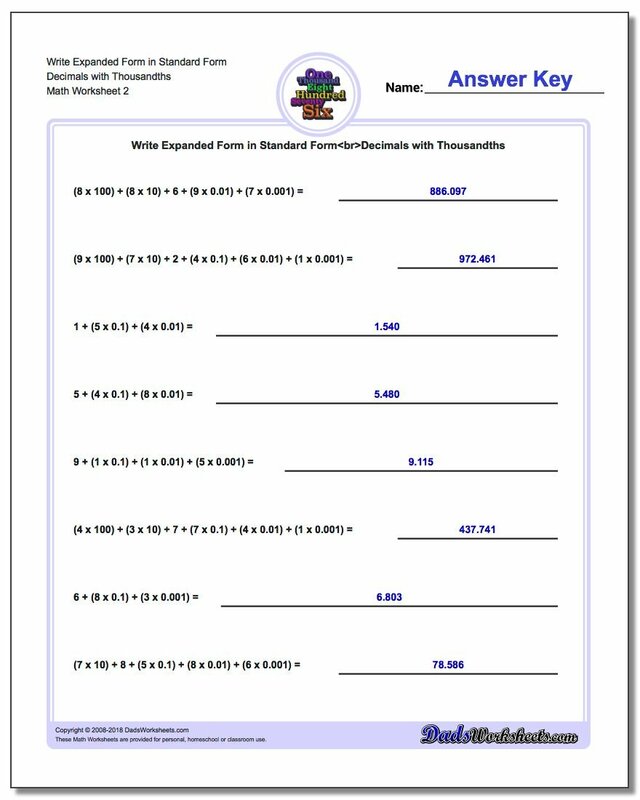 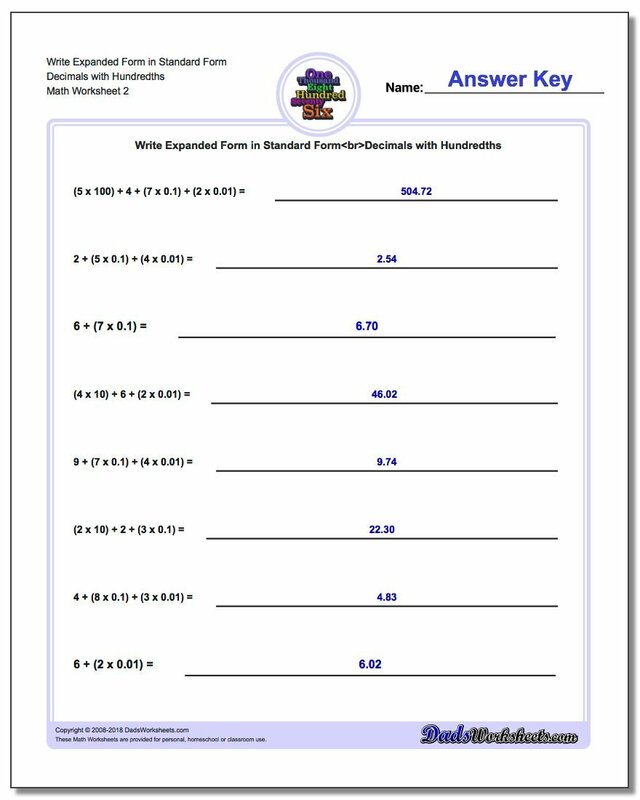 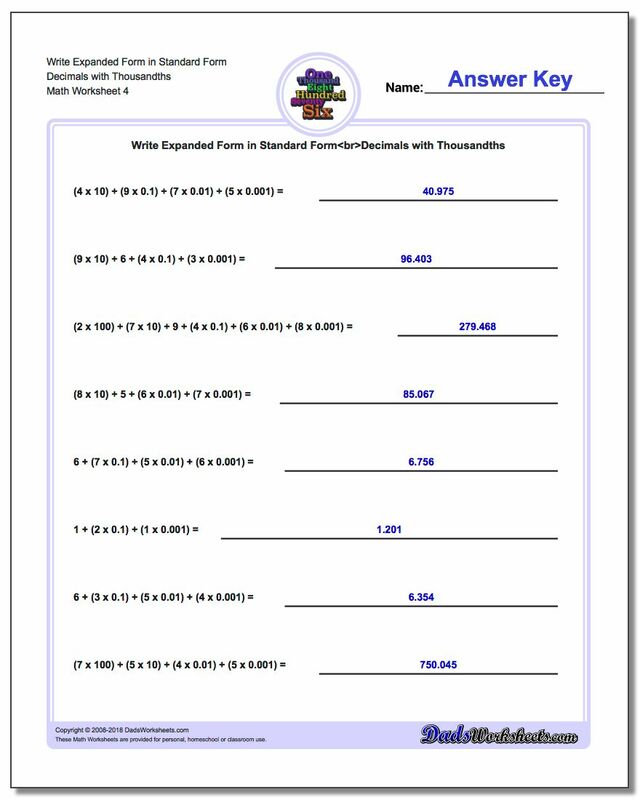 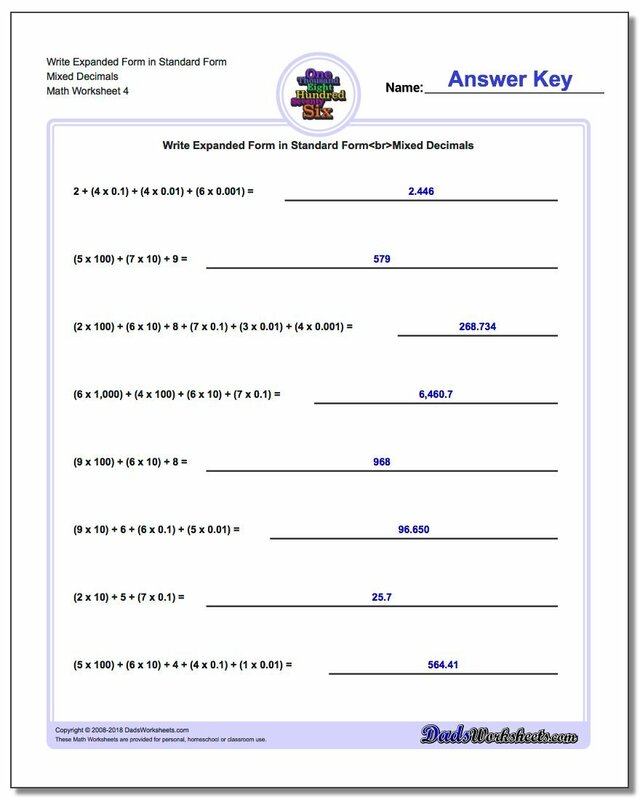 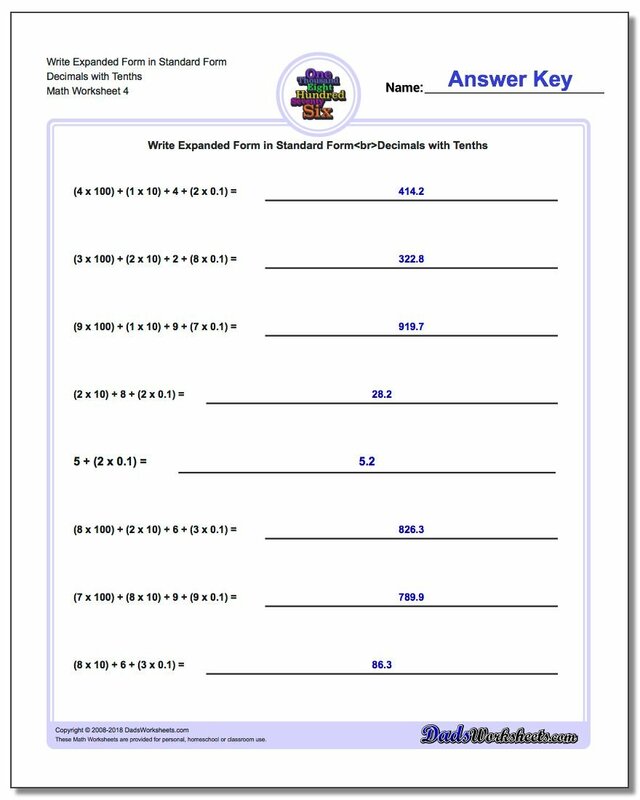 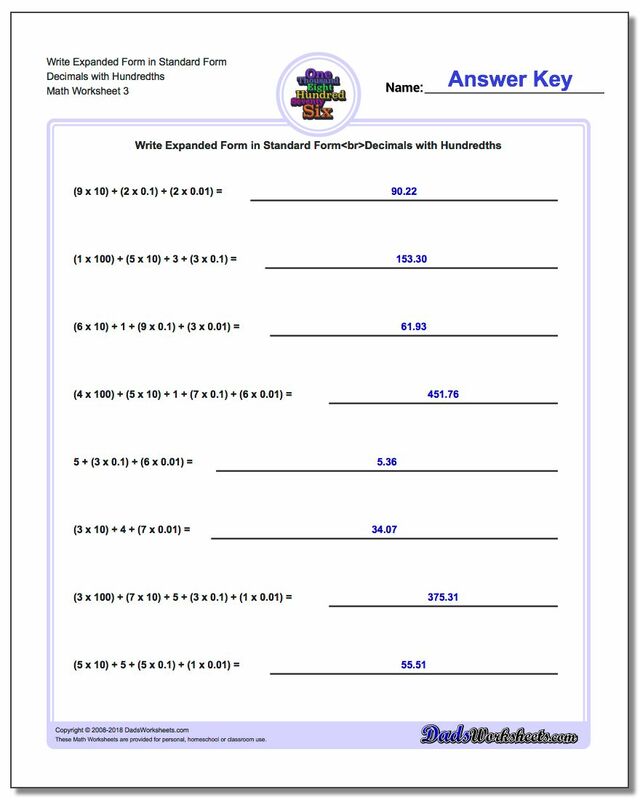 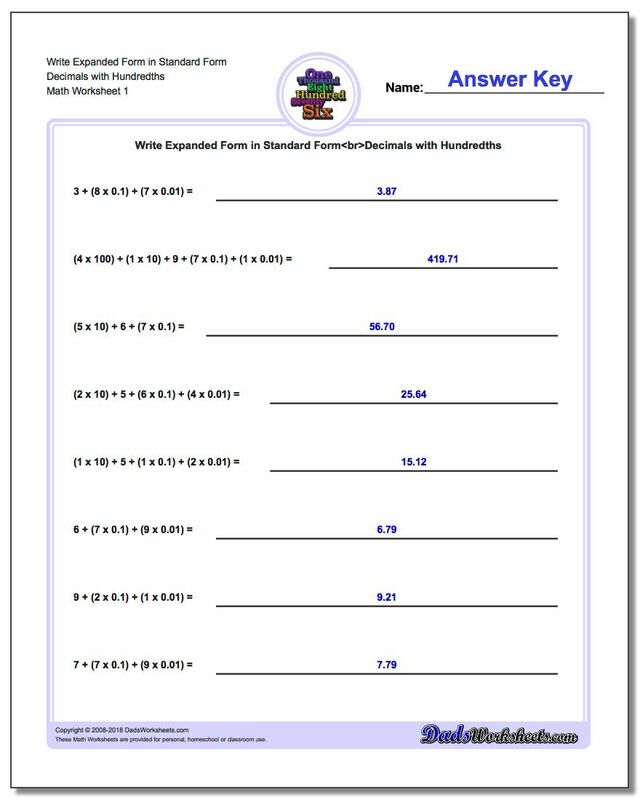 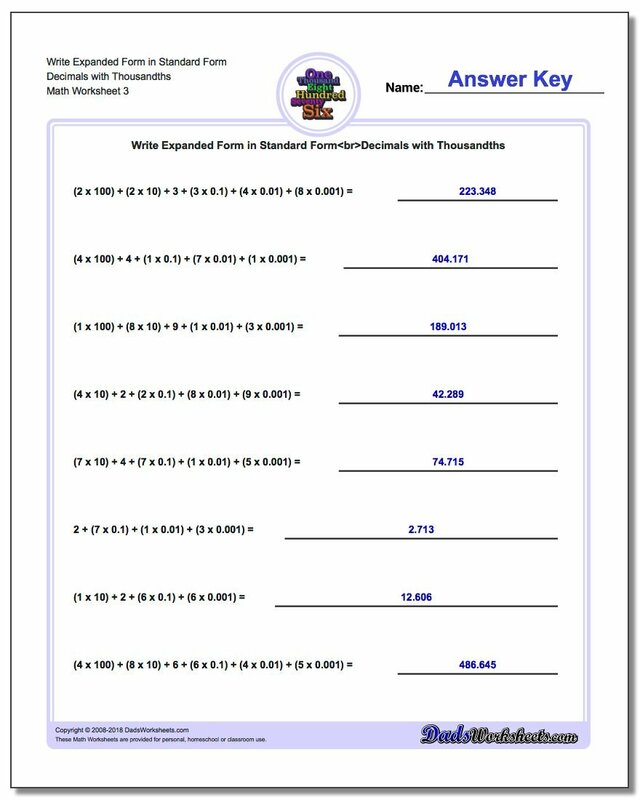 Like all of the other worksheets on the site, these worksheets include full answer keys and are great for classroom or at-home practice.